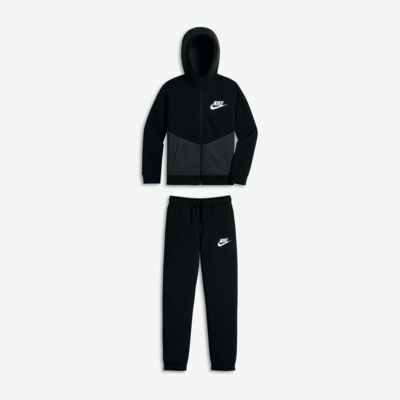 The Nike Sportswear Two-Piece Older Kids' (Boys') Track Suit features a matching jacket and trousers made from soft fleece fabric for lightweight warmth and comfort. The two pieces can be worn together or separately, providing a wide range of outfit options. 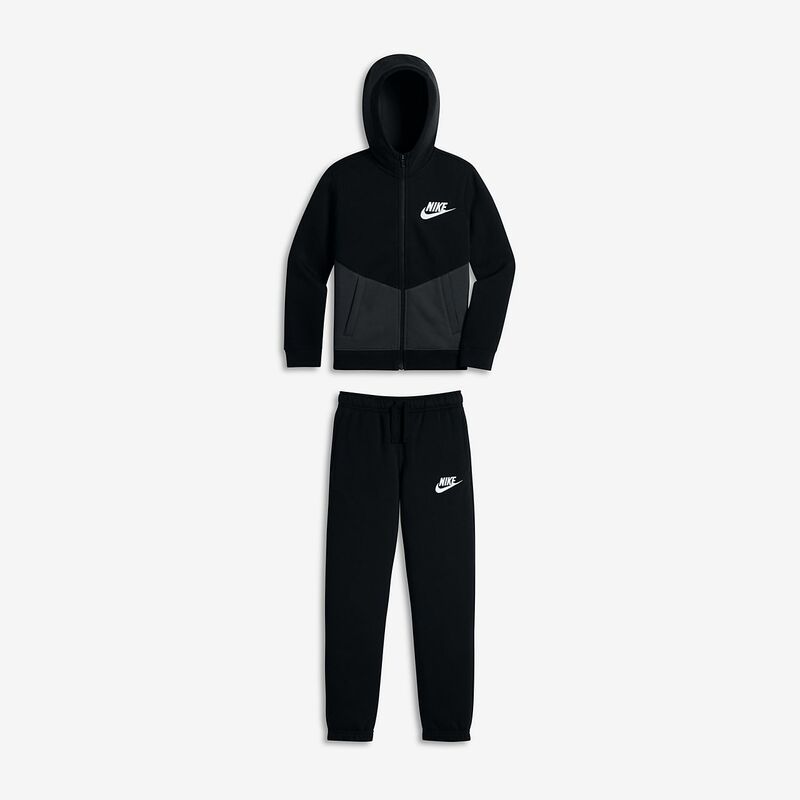 The Nike Sportswear Two-Piece Older Kids&apos; (Boys&apos;) Track Suit features a matching jacket and trousers made from soft fleece fabric for lightweight warmth and comfort. The two pieces can be worn together or separately, providing a wide range of outfit options. Fabric: Jacket: Body: 80% cotton/20% polyester. Hood lining: 100% cotton. Trousers: Body: 80% cotton/20% polyester. Pocket: 100% cotton. Have your say. Be the first to review the Nike Sportswear Two-Piece.